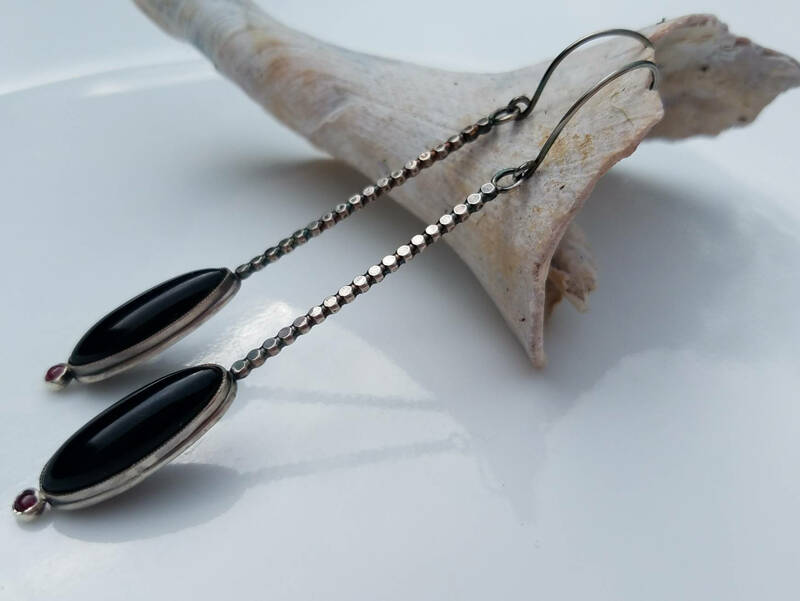 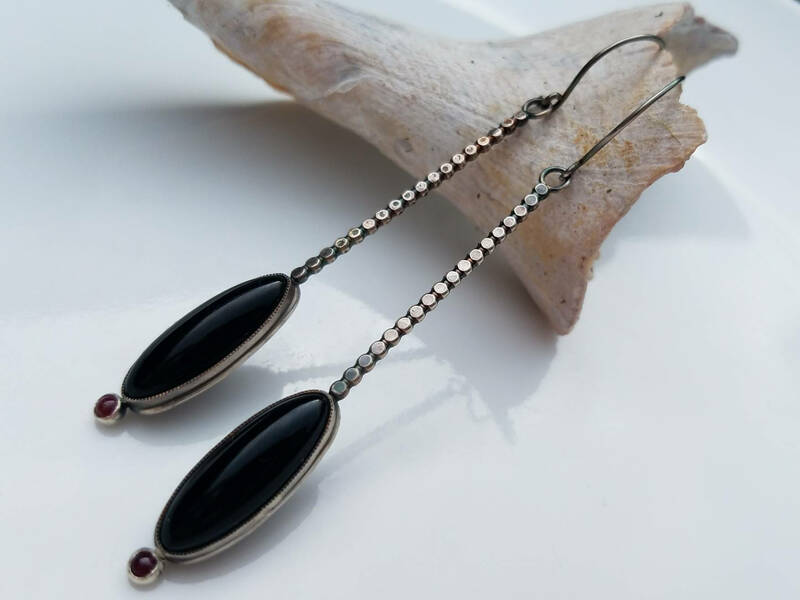 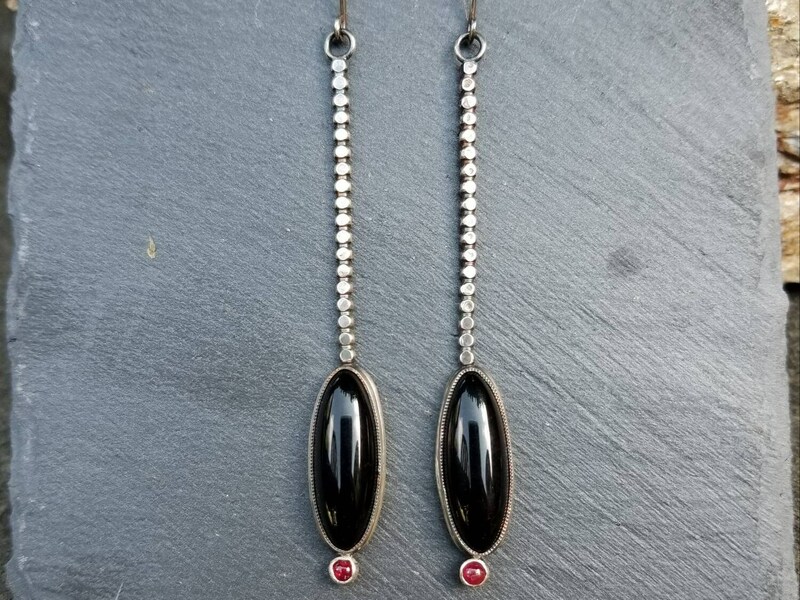 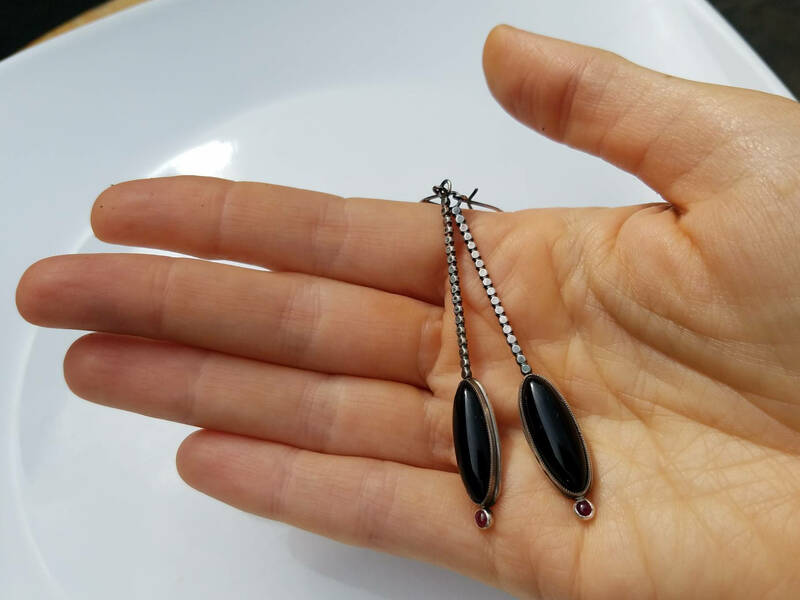 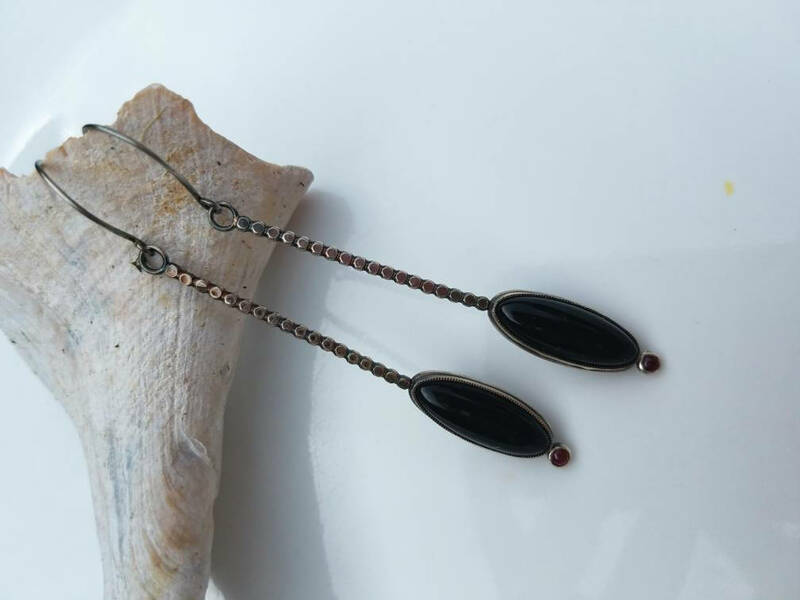 I created these earrings around the oblong (22mm by 8mm) black onyx stones. 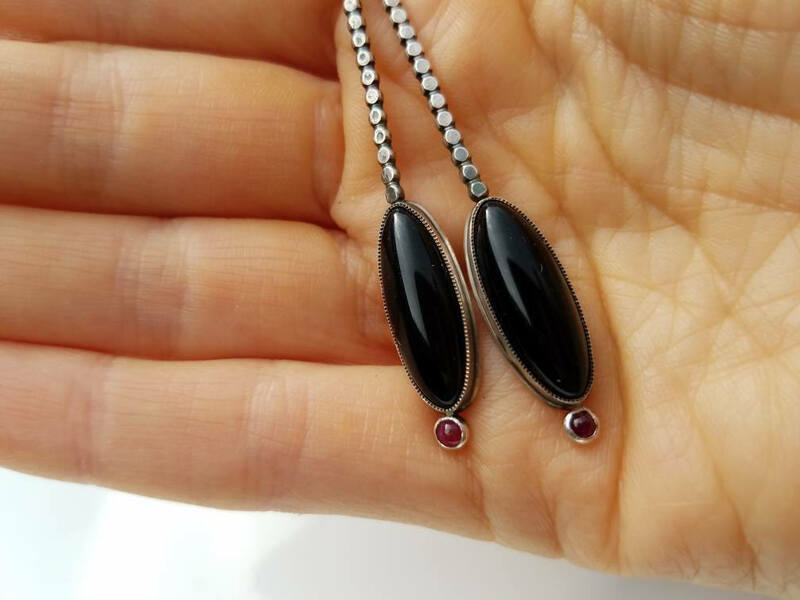 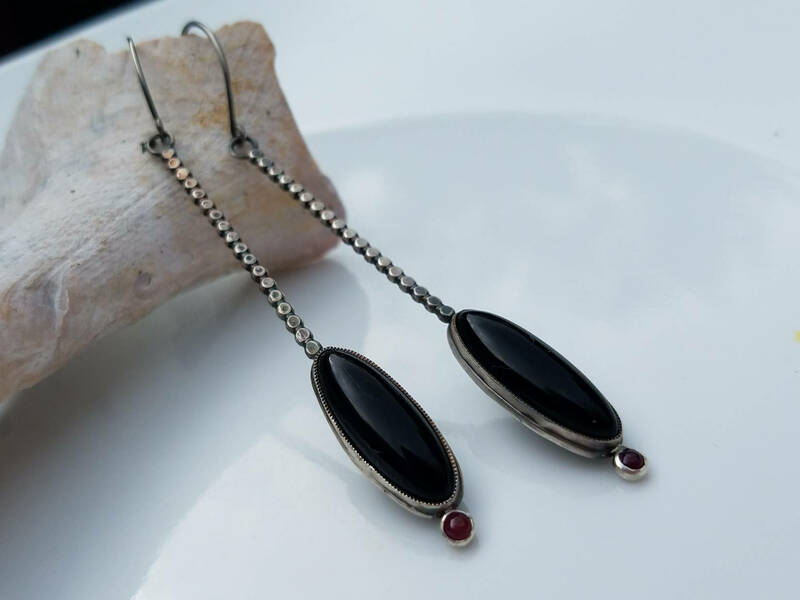 The deep red of the natural 3mm rubies, the rich darkness of the onyx and the oxidized sterling silver create a striking combination. 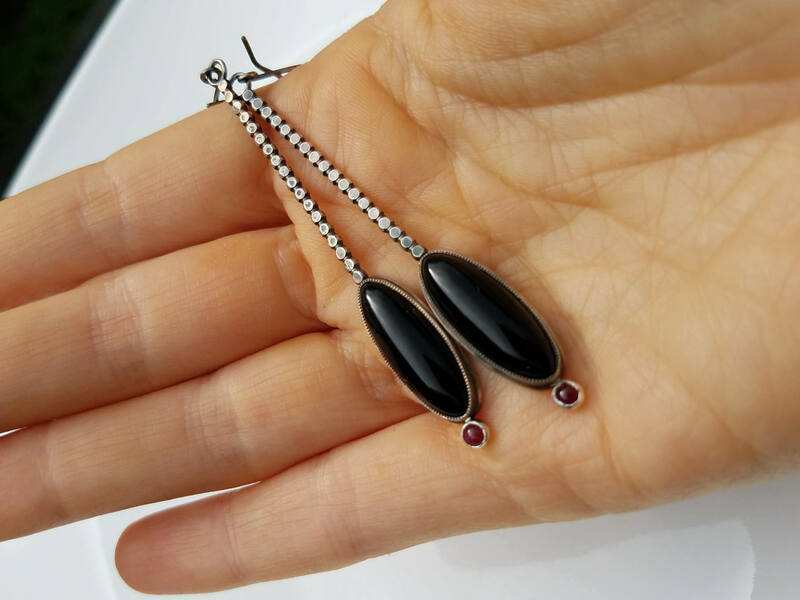 The earrings are approximately 2.75 inches from the bottom of the handmade ear wire.